You can go in a lot of different directions when it comes to selecting fly fishing gear, particularly when it comes to fishing bags and packs. Most of the fishing-specific packs that are widely available have a ton of awesome features that help make organizing and accessing your gear on the stream a breeze. That said, it doesn't mean that even the best pack can't be tweaked or improved with a few simple (& inexpensive) accessories. 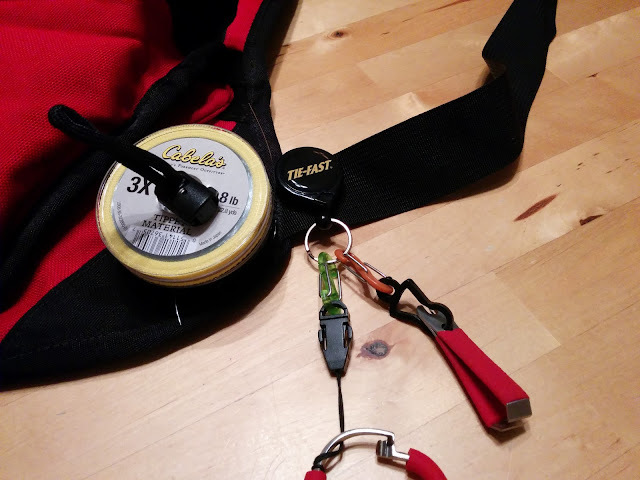 With that in mind, I thought I'd share a few of the items that I've found to increase the functionality in the use of my fishing gear; figured they might do the same for you. All of my fishing bags have great zippers. 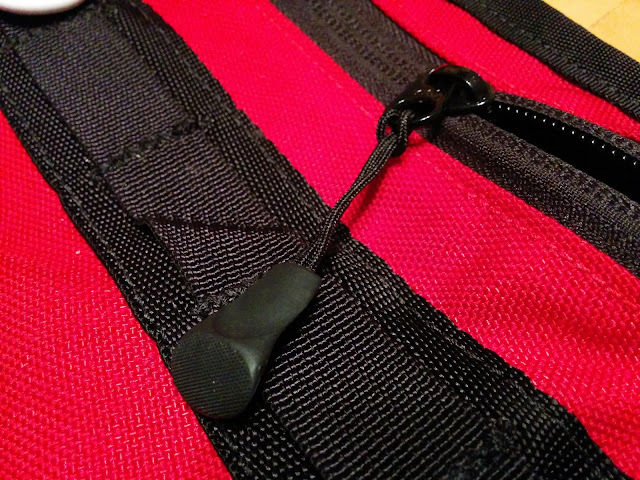 Bad zippers are one of my pet peeves, as there's nothing worse than buying a bag that has cheap zippers that just don't zip well. However, not all of the zippers have zipper pulls, which is a small add that you might not really notice until you add them. I started doing this when I lived in Pennsylvania, especially for those really cold days when you might be fishing with gloves on. Believe me, buy a pack, try them out, and you'll see what I mean. 5 for $5. 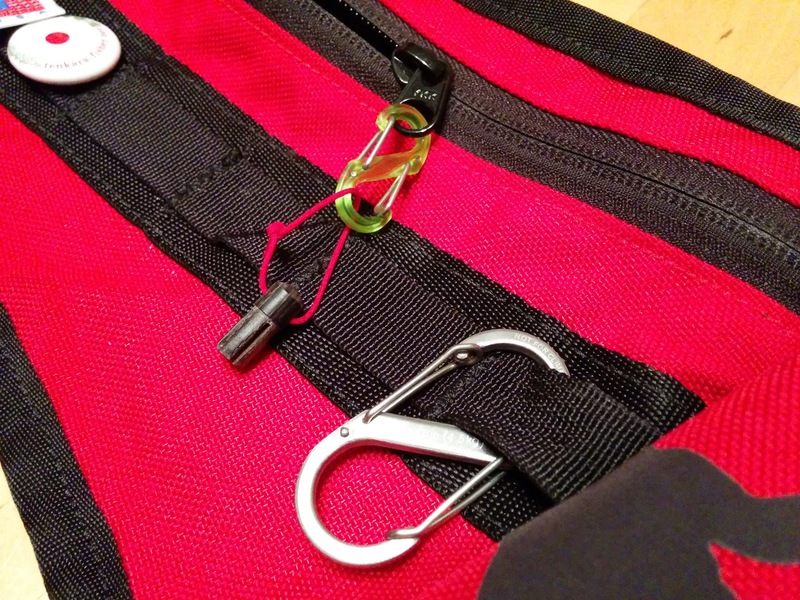 Sidenote: Works great on wading jacket pocket zippers too (should they not already have them). I'm addicted to these little S-clips. Every time I see them in a store, I buy another 2-pack. They come in many different sizes and do a great job keeping things where you need them to be. 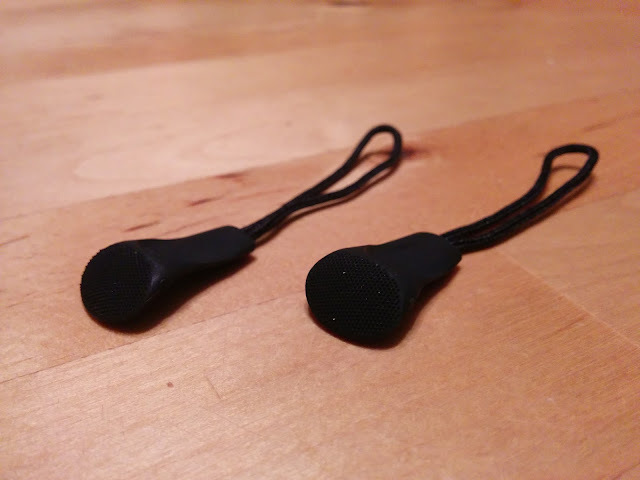 As a tenkara fisherman, many of the rod tip plugs these days have loops of string (lillian) on the end, these clips are invaluable to keeping your tip plug put. I also use a few of them to attach nippers and hemostats to the ring on my retractable zinger. 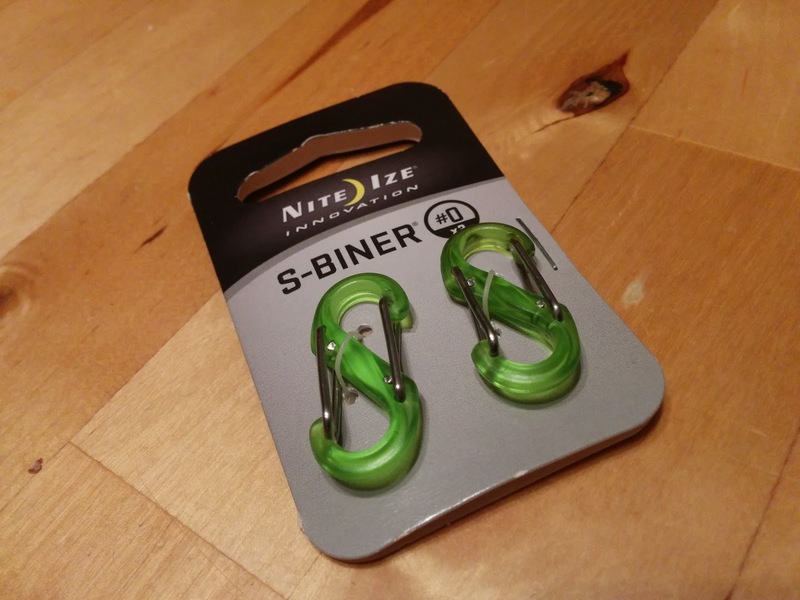 Finally, I also use a larger S-biner to keep my car keys put. Not having to fumble through various pockets (or the pack itself) to find all of these items is a definite security blanket worth investing in. 2 for $2, size 0. 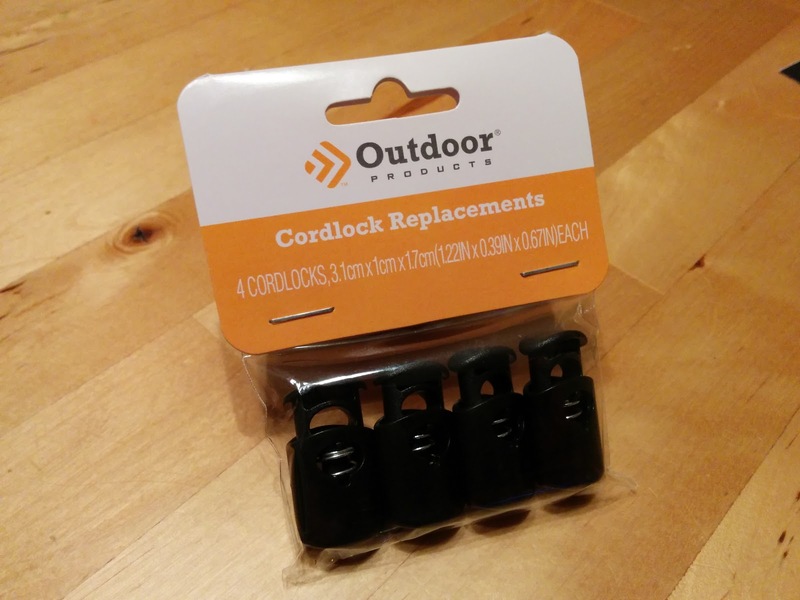 These little cord locks are great for lashing things down to your pack (or possibly your person). All you need to carry with you is a short length of paracord or a shoelace and you can pretty much cinch anything down really nicely. Heck, you can even use one to make an ad-hoc tippet spool dispenser. You'll see in the picture below a cord lock being used to keep tippet spools in one place, as well as some more of the previously mentioned S-biners being used on the tools. 4 for $5. 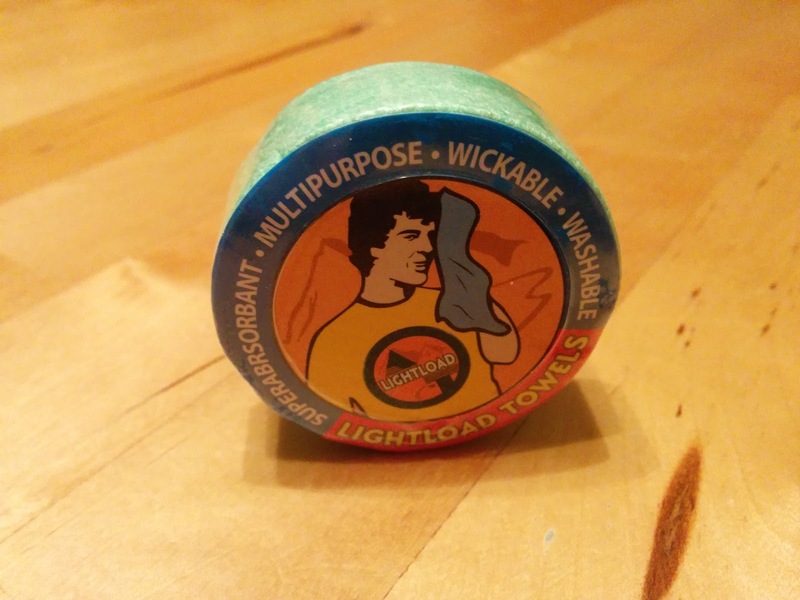 I actually did a product review of Lightload towels a few years ago, but you know what? They still find a home in my pack today. While not an alteration or addition, I thought it would be neglectful not to mention them because they are so useful. They're the size of a half-dollar coin when compressed, but when wet, grow into a full sized 12" x 12" towel that can be used for wiping hands, cooling off, a sun cape for the back of your neck, even fire-starting kindling if you light them prior to immersing in water. 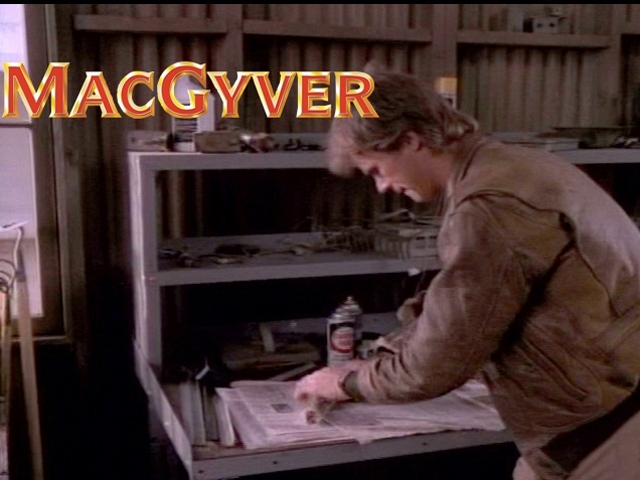 Oh, and when nature calls, they come in really handy. Especially the morning after Mexican. Believe me on that one. 2 for $4. To close, these are just some little widgets and whatchamacallits that have proved their worth to me on stream over the past few years. With the exception of the towels (which were presented to me 4 years ago), none of these vendors approached me to review these items today, I simply thought you might find them useful. The best part (in my opinion), is that while I've provided links to each, I've actually obtained most of these locally, either at outdoor sporting goods stores such as REI, Bass Pro, or Gander Mountain, or sometimes even more mainstream retailers such as Walmart, Lowe's, or Ace Hardware. If you don't find them with the camping gear, you'll likely find them in the accessories section with the wallets or keychains (typically near the cash registers). If you've got any gear hacks that fit in with the theme of this post, please share, I'd love to read them in the comments below! We've all needed at least one of these items if not all of them at one time or another. Pays to wander the camping section. Ya never know what you'll find. Hey Mike, there are some great ideas here. I love little things that make the trip go smoother. I've been using one of those spring loaded, pop-open style nylon windshield sunscreens for years to stand on while getting in/out of my waders. They dry quick, shake out easy, and collapse down to next to nothing, to easily stow in your vehicle...and best of all, they're cheap! Great post here, Mike! I'm all for hacks these kinds of hacks. Those towels are definitely something all of us should carry. I'm going to have to get a pack of those. I keep a bin in my car for my waders and boots, and I stand on the lid when I'm getting ready, so, I don't have to stand on the rocks with my socks.